When you need more than just talk from your law firm. Telecommunications businesses turn to the law firm of McBrayer because we have been helping them break new ground for decades. By staying on the cutting edge of this unique industry and the specialized laws that govern it, we have served the needs of most of the major wireless service carriers, including Verizon Wireless, T-Mobile USA, Inc., and Cricket Wireless. We take pride in being the go-to law firm in this ever-changing area of the law. When there are denials, we will push forward and represent our carriers in federal court based on the 1996 Telecommunications Act, which allows lawsuits in either state or federal court. We take the steps necessary to get the needed approvals. We routinely appear before state and federal legislative bodies on behalf of our telecommunications industry clients. Whenever legislation is being considered that may impact our clients, we are able to make certain that their needs are considered. Over the past 20 years, our lawyers have been involved at the public service commission level as well as locally in the buildout of no less than 2,000 wireless facilities. We were representing cellphone companies in cell tower siting well before everyone had a cellphone in his or her pocket. This is an area of the law that we have pioneered. We know how to assist with all aspects of wireless facility siting. 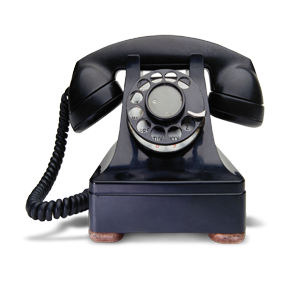 For experienced, knowledgeable advice on all issues related to the telecommunications industry, contact the experienced legal team at McBrayer. With offices in Lexington, Louisville, Greenup, and Ashland, and a government relations practice in Frankfort with presence in Washington, D.C., we serve clients throughout Kentucky and the United States. By staying on the cutting edge of this unique industry and the specialized laws that govern it, we have served the needs of most of the major wireless service carriers, including Verizon Wireless, T-Mobile USA, Inc., and AT&T Corp., as well as several cell tower contractors. We take pride in being the go-to law firm in this ever-changing area of the law. We represent established and upcoming wireless service companies, land line service companies, Internet service providers and any other business in the telecommunications industry.